Intending you all discover that pot of GOLD at the end of your rainbow today. Scent for today can wander into a few areas, but I am settling on Sierra Solid Gold. It's been woven with magic and intentions of prosperity and is a golden yellow in color. GreenWitch and Q are runners up. For me, the day will begin with Aurora since I will be making the solid today, followed by GreenWitch. “Leprechauns, castles, good luck and laughter.Lullabies, dreams and love ever after. Although I was born in Buenos Aires, Argentina my ancestry is one quarter Irish, one quarter Spanish and half Italian. I do have a thing for the pagan heritage of the Irish and look forward to one day visiting the land of Éire. 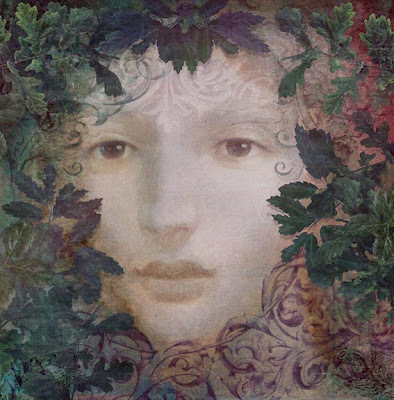 Éire is one of the triple Celtic mythological figures that embody Sovereignty, the Goddess of the Land. Wishing you all the luck of the Irish today and as mentioned above , that you may find that pot of Gold, the holy Grail in your endeavors on this feat. Maewyn, who was later to become St. Patrick is responsible for converting large numbers of Irish pagans to Christianity. Somehow amidst the celebrations on this day I wonder if someone will mention how many pagans were burned by religious fanatics who had there own ideas of how to follow God. Today I will celebrate all things Green and humbly pay tribute to the all those that persished from following a way of life connected to Mother Earth.